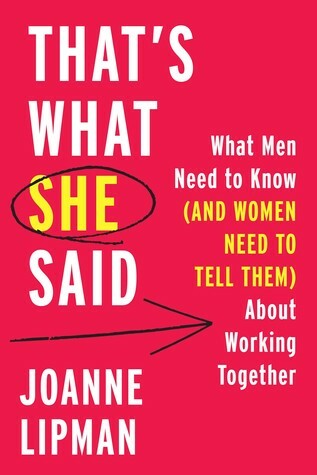 Joanne Lipman, one of the nation's most prominent journalists, is author of the bestseller THATS WHAT SHE SAID: What Men Need to Know (and Women Need to Tell Them) About Working Together. She until recently was Chief Content Officer of Gannett and Editor-in-Chief of USA TODAY and the USA TODAY NETWORK, comprising the flagship publication plus 109 local newspapers including the Detroit Free Press, the Des Moines Register, and the Arizona Republic. In that role, she oversaw more than 3,000 journalists and led the organization to three Pulitzer Prizes. Lipman began her career as a reporter for The Wall Street Journal, ultimately rising to deputy managing editor the first woman to attain that post and supervising coverage that won three Pulitzer Prizes. At the Journal, she created Weekend Journal and Personal Journal and oversaw creation of the Saturday edition. She subsequently was founding editor-in-chief of Conde Nast Portfolio magazine, which won Loeb and National Magazine Awards. Lipman is a frequent public speaker and has appeared as a television commentator on ABC, NBC, CNN, CNBC, MSNBC, and PBS. Her work has been published in outlets including The New York Times, Time, Newsweek and the Harvard Business Review. She is co-author, with Melanie Kupchynsky, of the acclaimed music memoir Strings Attached.